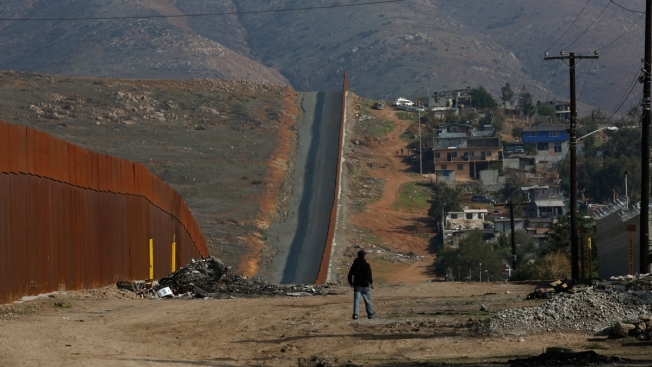 This Dec. 12, 2018, file photo shows a man walk next to the U.S. border wall in Tijuana, Mexico. Two teenagers who were staying at a migrant center in central Tijuana, Mexico, were killed in an attempted robbery, NBC News reported. The two boys, estimated to be ages 16 and 17, were stabbed and strangled Saturday, according to Baja California Deputy Attorney General Jorge Alberto Álvarez Mendoza. Their bodies were found shortly after 7 p.m., he said. A third boy with the victims managed to escape. The bodies were found in an alley in a neighborhood named for the Mexican state of Quintana Roo, Álvarez Mendoza said. Authorities believe the trio were headed to another migrant shelter, the Benito Juarez sports complex, which was officially closed down after heavy rains doused the open-air encampment earlier this month. 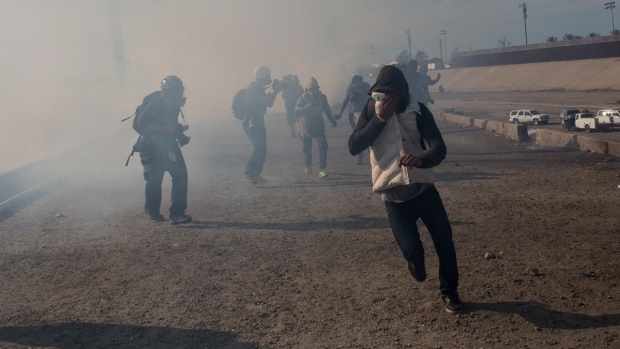 The violence highlights the dangers migrants face in Tijuana as thousands await a slim possibility of pleading their case for asylum at the U.S. border. Some were part of a caravan that was politicized during the midterm congressional election in November.